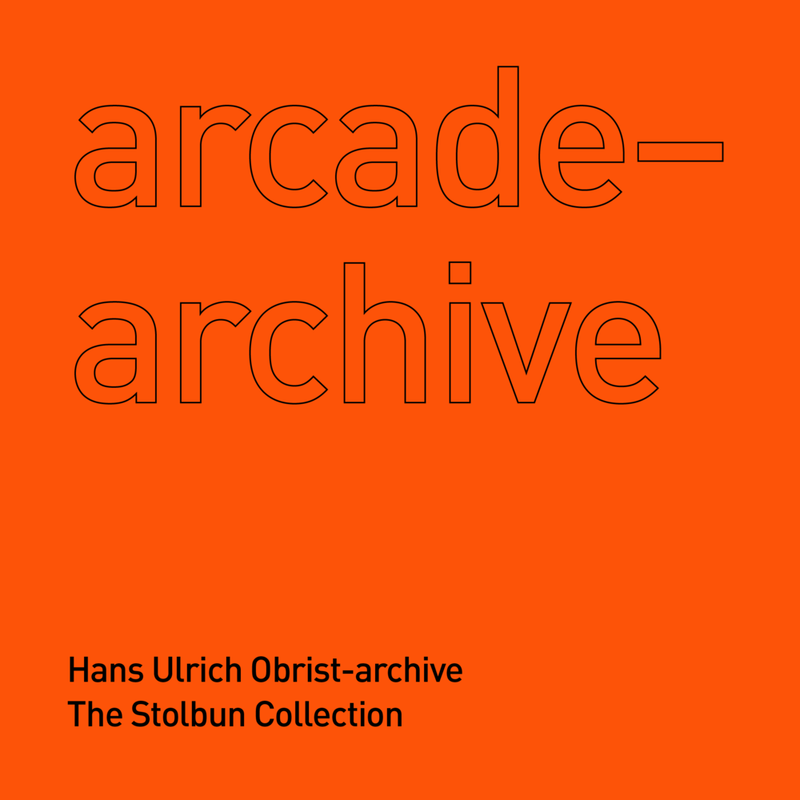 The Stolbun Collection is pleased to present arcade–archive an exhibition that intertwines the Hans Ulrich Obrist archive (HUO-a), currently housed at The School of the Art Institute of Chicago (SAIC) and the personal library of The Stolbun Collection founder, Seth Stolbun. For this exhibition The Stolbun Collection project space is divided into two rooms, an empty white-walled gallery and an interactive reading room. The central goal of arcade–archive is to explore various conditions of access in relationship to physical materials and spaces. arcade–archive focuses on archives or collections of materials that are produced in relationship to art and art objects—compendiums that are not necessarily art objects themselves. These non-art objects typically take shape as printed publications, and here they are represented in both the HUO-a and in Stolbun’s personal library. The Stolbun Collection is giving twenty-five individuals a key to access arcade–archive whenever and however they would like. Where one room presents an image of a compendium of realized projects and ideas imbedded within a library, the other room offers a blank space that asks for new ideas, found in or inspired by the content within Stolbun’s library. What are the most dynamic ways to engage with the archive of any artist, curator, or public intellectual’s work? With intense fluorescent overhead lights, stark white-walls and a dark floor, the space is set up to be activated. The empty room is meant to be activated through a series of brief seven-day-long exhibitions. Each key holder is asked to propose and complete an experimental text, exhibition, performance, artwork or project in the empty space. arcade–archive is an ever-changing, always unfinished exhibition that is part research and part realization, part idea and part experiment. The HUO-a is an ongoing project founded and maintained by SAIC Visual and Critical Studies Professor Joseph Grigely, that is used as a teaching tool for a number of his undergraduate and graduate level seminar classes. arcade–archive is part of, but divergent from, an ongoing series of exhibitions produced by The Stolbun Collection called PHANTASMAGORIA that examine the tensions between emergent forms of artmaking and traditional practices. A. WILL BROWN is a Curator and Writer. He is a Founding Curator and Deputy Director of Monument Lab and the Assistant Curator at the Museum of Contemporary Art Cleveland. He has held curatorial positions at, the Rhode Island School of Design Museum, the Kadist Art Foundation, Wattis Institute for Contemporary Arts, Crown Point Press, Triple Base Gallery, and the Aspen Art Museum. Brown is a regular contributor to Daily Serving, The Exhibitionist Blog, Hyperallergic, Studio International, and Art Practical.